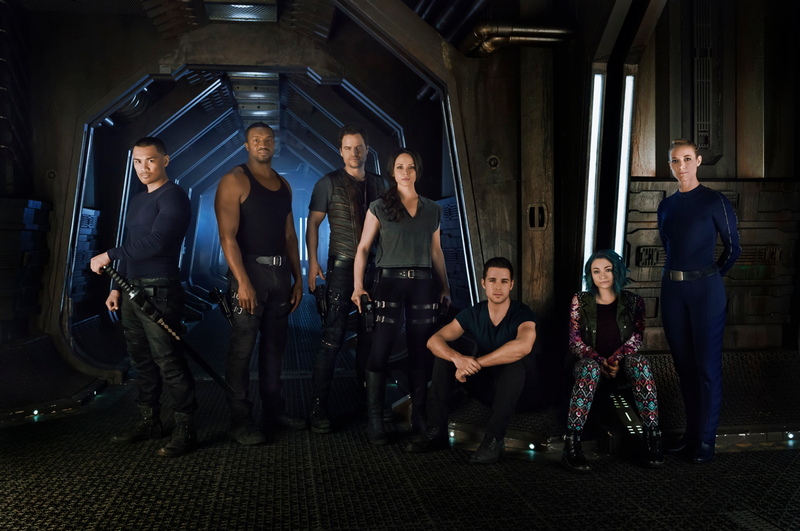 Dark Matter is a Canadian science fiction series with a lot of promise for future seasons. Six people wake up abroad a spaceship with no memory of who they are. They name themselves One through Six, the order in which they woke from cryo-sleep, then set about solving the mystery of themselves. The cast is solid. I mean, if you’ve watched any science fiction or horror television in the last 5 years, you will recognize faces. 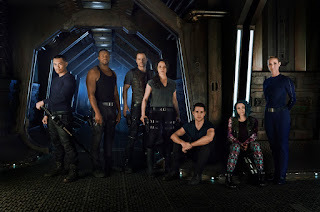 And the creative team is just as polished; most of the episodes are written by the two guys who wrote the original comic book and contributed extensively to the Stargate television franchise. The first big reveal comes pretty quick and maybe isn’t that surprising but the show movies so well, you don’t mind. But the following reveals are handled very, very well. Strange Empire is another Canadian series. This Western drama is set along the border Montana-Canada border and follows three women who band together for protection and support after the men in their town are murdered. Was disappointed to learn it was cancelled after one season. It’s an engaging show, beautiful shot, well-written and well-acted. And it was nice to see a program other than Orange Is The New Black feature a diverse cast of women.